Established in 1941, brothers, Albert and Lawrence Boushey began A&L Potato Company, Inc. They envisioned delivering the finest quality potatoes to families throughout the United States. Today the company continues to operate under Randy and Charles Boushey with the fourth generation slowly emerging into the business as well. Their strong family values and commitment to their customers with the finest quality potatoes make them an incredible partner. Randy has been instrumental helping connect us to other areas growers. He has stepped up to the plate every time we have called him for help. Whether it is washing and packing loads for us or referring other opportunities our way, Randy is truly a man who has made a huge impact on families struggling to provide fresh nutritional food for their families. Peatland Reds Inc. is owned by Dennis & Danielle Magnell and Ken, Jim and John Gunvalson. Their business has grown to include new markets throughout the Red River Valley. Working closely with Isaac Magnell, we are matching their deliveries to local agencies supplying fresh potatoes on a regular time-line. Peatland has been a terrific partner willing to work with the food bank to develop new ways to serve those in need in our large and very rural service area. Their potato-growing heritage extends back to 1905, when Nels Folson of Hoople, North Dakota, became the first commercial potato grower in North Dakota. In 1952, Richard 'Bud' Folson incorporated his own farming venture in East Grand Forks, Minnesota. In the 1980's, Folson Farms added the leadership of two of Bud's sons, Bryan and Barry, who took over the business in the early 90's. In the summer of 2014 Folson offered us over 1 million lbs. of their surplus potatoes. With the help of Molly Donaldson from Feeding America we were able to work with Dale Griggs, their Plant Manager and capitalize on this opportunity and supply potatoes to the entire state of MN and to the Feeding America network of food banks throughout the USA. In 1964, Bud Thoen founded Douglas Machine with a vision to invent and build exceptional automated packaging machinery. Two years later, Vern Anderson, the current CEO of Douglas Machine, joined the fledgling business. Later that year the company sold its first machine to Curtis Candy Company for $6,476. From the very beginning, a deep appreciation for the customers’ ongoing trust drives the company to be a great supplier with values based upon respect. Douglas Machines builds many systems for food companies. When the line is finished they typically test it with real food products. When the testing is complete they donate the product to us. We receive a wide variety of foodboth canned and frozen as well as much needed cleaning supplies. Kris Tvrdik their Material Planning Coordinator has been a fantastic advocate watching for donation opportunities for us. Barrel O’ Fun produces an extensive line of salty snacks; including traditional and kettle-cooked potato chips, 100% whole kernel corn tortilla and corn chips, cheese puffs and curls, pretzels, gourmet popcorn and baked potato crisps. These products come in a variety of flavors and are shipped nationwide to retail stores, food service organizations and private label customers. Barrel O’ Fun is a division of KLN Family Brands; headquartered in Perham, MN. Barrel O Fun has recently opened two additional plants; in Phoenix, AZ and in Erie, PA. Barrel O Fun is a family owned company that strives to offer high-quality snacks that you want to serve your family again and again. We are extremely grateful to Roger Winkles and Rick Fresonke for their on-going help with the donation process. North Country Food Bank has been working with BOF for a number of years. Founded in 1921, Land O Lakes is one of America' s premiere farmer-owned cooperatives. It offers farmers, local cooperatives and customers across the United States an extensive line of agricultural supplies, as well as state-of-the-art production and business services. The company is also one of the leading marketers of dairy-based products for consumers, foodservice professionals and food manufacturers. Its brand is recognized and valued by consumers and customers both nationwide and internationally. Its dairy products include butter, margarine, spreads, cheese and whipping cream. Land O Lakes does business in all 50 of the United States, as well as in more than 50 countries. The company maintains offices in Thief River Falls, MN where we benefit from their distribution center donations. SunOpta’s soymilk plant in Alexandria, MN has donated close to a ½ million lbs. of aseptic (shelf stable) soymilk as well as fresh soymilk. When their product is manufactured it is shipped into regional cold storage facilities around the US. When Linda Wayne calls with a donation, we either pick it up in Alexandria or call our neighboring Feeding America Food Bank to notify them they have a wonderful donation waiting for pick-up nearby. Not only does SunOpta give us every opportunity to capture their surplus inventory, but they also sent a large number of employees to volunteer. They are so easy to work with and a true blessing helping so many people with their delicious, healthy milk. This SunOpta location is the old Dahlgren plant. They make delicious healthy snacks. This year they found they had an abundance of seasoned sunflower seeds and kernels. Erin LaPlante, their Produce, Sales & Marketing Manager helped facilitate the donation just in time for baseball season. What a wonderful treat for people struggling to get even the basic food needs covered. Lonnie Spokely the current generation and owner of Spokely Farms has been a long-time supporter of our work. With his help we have been able to supply fresh potatoes long before we had other farmers on board. Kenny’s Candy is part of KLN Family Brands located in Perham, MN. They are the manufacturer of Juicy Twist licorice and Wiley Wallaby Australian-style liquorice, sold in stores throughout the United States. North Country Food Bank is grateful for the delicious treats we have received from Kenny’s Candy. Their donations are only part of the story. Last year we welcomed Andy Peeters, Kenny’s Business Manager, to our Board of Directors. 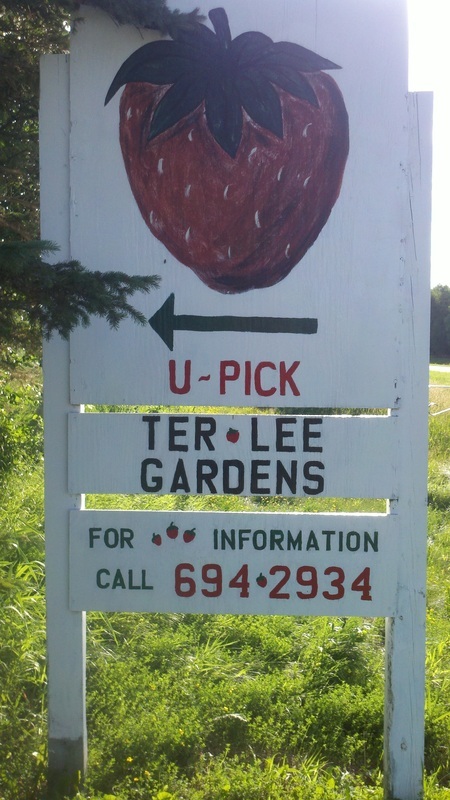 Ter-Lee Gardens is home to delicious strawberries and northern Minnesota’s finest vegetables. They are located in north central Minnesota, Clearwater County, just south of Bagley and 20 miles north of the Headwaters of the Mississippi. Their season begins with tender asparagus in May, hand-picked and sold direct from the farm. The purple tops show you the high sugar content of our tasty and healthy spears, and once you've tried asparagus this fresh, you'll join us for one of the most pleasant signs of spring! 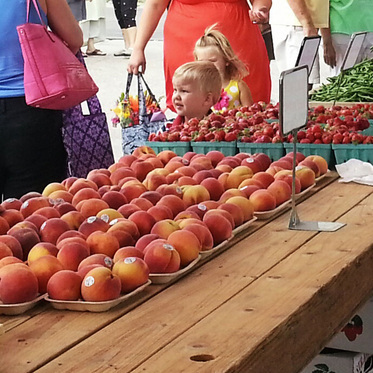 Around late-June to early July, the farm is abundant with beautiful red, sweet, juicy strawberries. They provide pick-your-own and pre-picked strawberries. If you are making a special trip to the farm, please call to be sure they are open: (218) 694-2934, or toll-free 1(800) 251-1689. Vegetables are sold at Bemidji Area Farmers Market in Bemidji or from the farm on a pre-order basis, in season (view their Vegetable Calendar). They only sell what they grow!